By Julia Pastor, in Madrid | In spite of the many difficulties that Spanish construction companies find in the UK, these firms remain undeterred and keep on defending their assets in Great Britain, as well as fighting to obtain new contracts in the country. 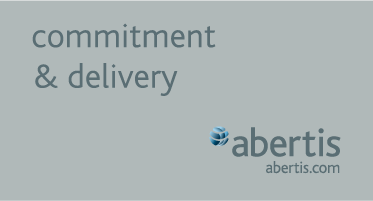 This is the case of Abertis Infraestructuras, which will bring to court Luton Borough Council in a €360-million compensation claim if the local authority forced it to give up the city airport concession before the contract expires in 2028. On the other hand, ACS has just reached the final stage for the bid on the Mersey Gateway Bridge, one of UK’s largest bridges, in the Halton County, between Liverpool and Manchester. 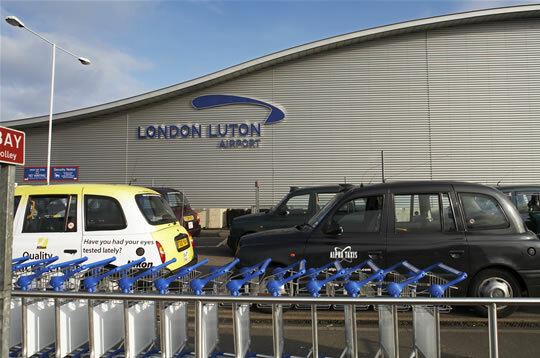 Abertis manages the Luton Airport since 1998, through its subsidiary London Luton Airport Operations, in which it holds a stake of 90% (the remaining 10% is owned by Aena Internacional). In this period of time, passenger volume has increased from 3.4mn to 10mn, becoming the fifth airport in the UK and the fourth in London, after Heathrow, Gatwick and Stansted. However, this seems insufficient for the Luton Borough Council, which is planning to raise numbers to 18mn passengers, build a new runaway, and also change some of the facilities in order to compete directly against Stansted. In Abertis’ opinion, this project would involve 275 daily flights, which may have a high environmental cost. Furthermore, the necessary investments to undertake a scheme of this size would not be recovered before 2028, and could still prove disappointing in order to reach the aimed passenger volume. As a result of this disagreement, Luton municipality has warned Abertis about its probable appeal against the concession contract, seeking to recover the city airport management. The Spanish construction company has reminded the council leaders that it could claim a very juicy compensation of about €360 million because of breach of contract. ACS has entered the tender final stage for the Mersey Gateway Bridge, a public works project valued at €700 million, that comprises the design and building of a six-lane bridge 2,13 km long, as well as the adjacent roads’ construction and restoration, the parallel bridge, the Silver Jubilee improvements, and the new Mersey Gateway Bridge maintenance. The project also includes the toll gates management of two near motorways, the Expressway Link and one stretcht of the Weston Point Expressway. Spain will be doubly represented in the tender final, since ACS will compete against the partnership of FCC, Globalvía and the Australian firm Macquarie. Last October, ACS was already awarded the Scottish bridge over the Forth Bay, valued at €1,1 billion. The difficulties for Spain’s construction firms in the UK are a long-standing issue. Another well reported conflict is the one confronting Ferrovial, which owns 49,9% of British Airports Authority (BAA), face to face with the UK competition comission. Indeed, the competition authority forced Ferrovial to sell the Gatwick airport in 2009 and to put on sale the Edimburgh’s one just some weeks ago. Now the comission wants the Spanish company to get rid of Stansted, too. Be the first to comment on "Abertis, ACS do not fear the UK"